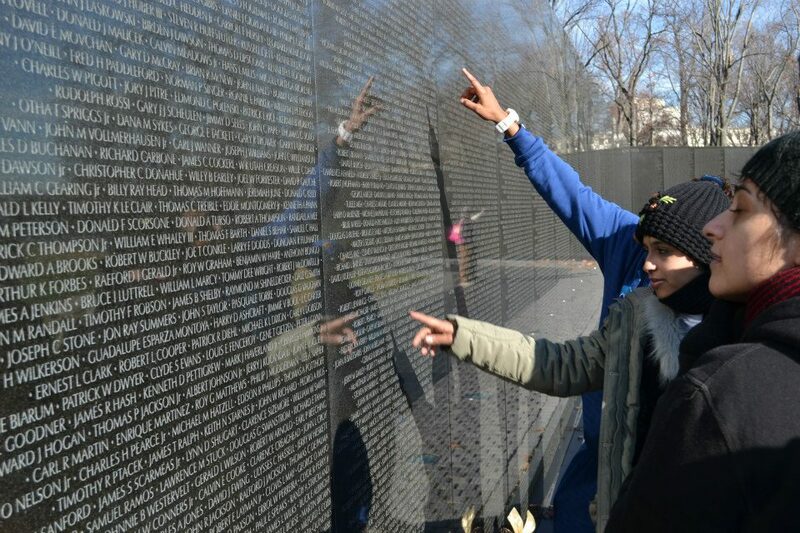 During their tour of Washington, D.C., the group takes time to absorb the significance of the Vietnam War Monument. The group attends a high-school history class to learn about the U.S. school system. The female volleyball coaches take part in a friendly game with Americans. 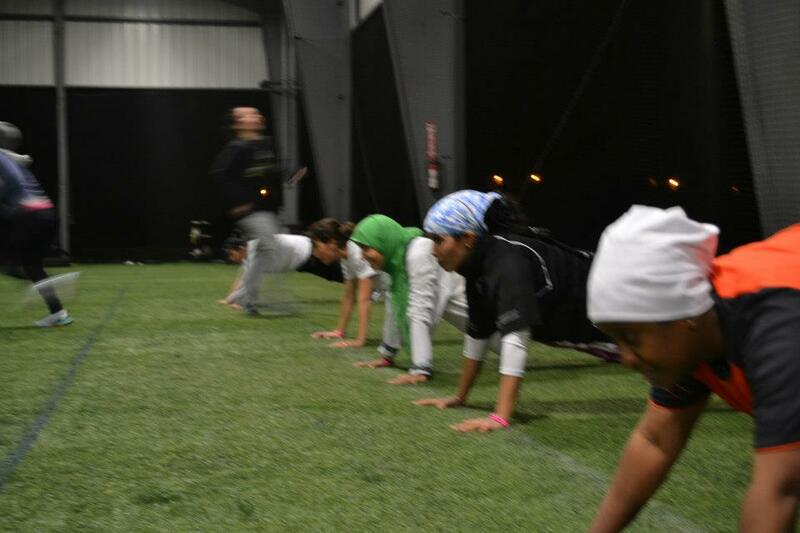 The volleyball coaches from the Gulf Nations stay strong throughout a challenging workout. 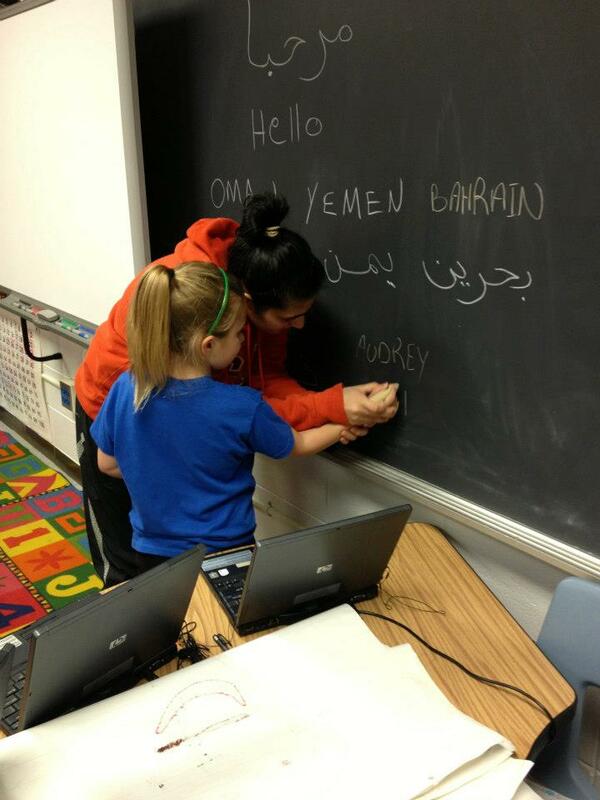 A participant in the volleyball coach program teaches a young girl how to write in Arabic during the group’s visit to an elementary school in Tennessee. Coaches from the volleyball exchange program participate in physical conditioning activities. 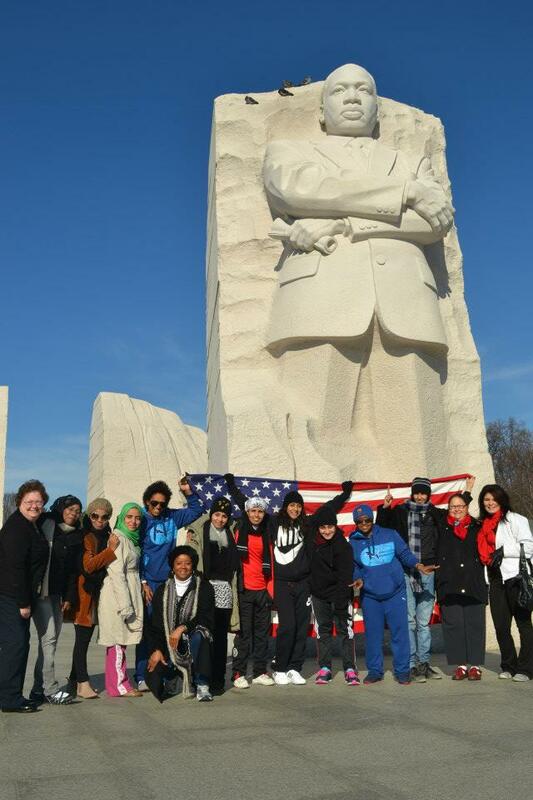 The delegation of coaches from Bahrain, Oman, Qatar, and Yemen group together in front of the Martin Luther King, Jr. monument in Washington, D.C. 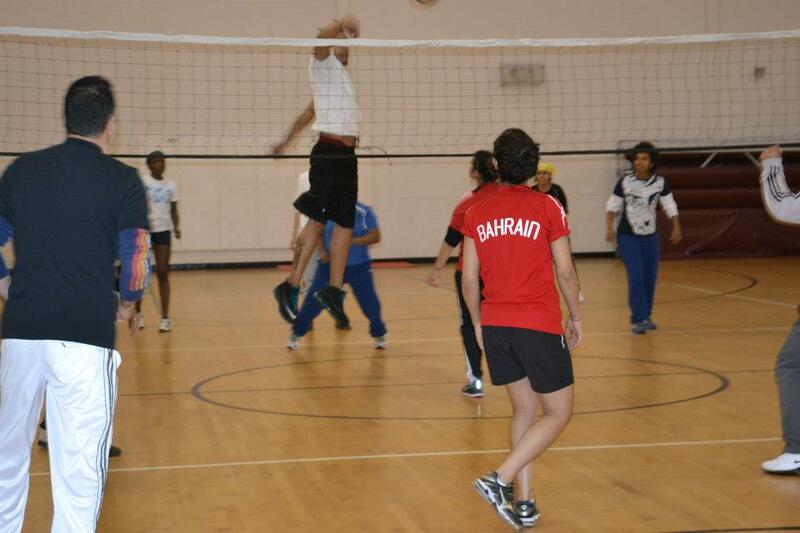 Under the State Department’s Empowering Women and Girls through Sports Initiative, the Gulf Nations Volleyball Visitor Program brought 10 female volleyball coaches from Bahrain, Oman, Qatar, and Yemen to the U.S. for activities focused on the development of sports programs for women and girls. In December 2012, the visitors engaged with one another as well as with their American counterparts in Washington, D.C., Knoxville, TN, and Louisville, KY. They shared their experiences as female athletes overseas and learned about sports opportunities for American women through discussions on Title IX, sports psychology, and nutrition. They also took part in events surrounding the 2012 NCAA Women’s Volleyball Championships in Kentucky, including a session with a Special Olympics group. 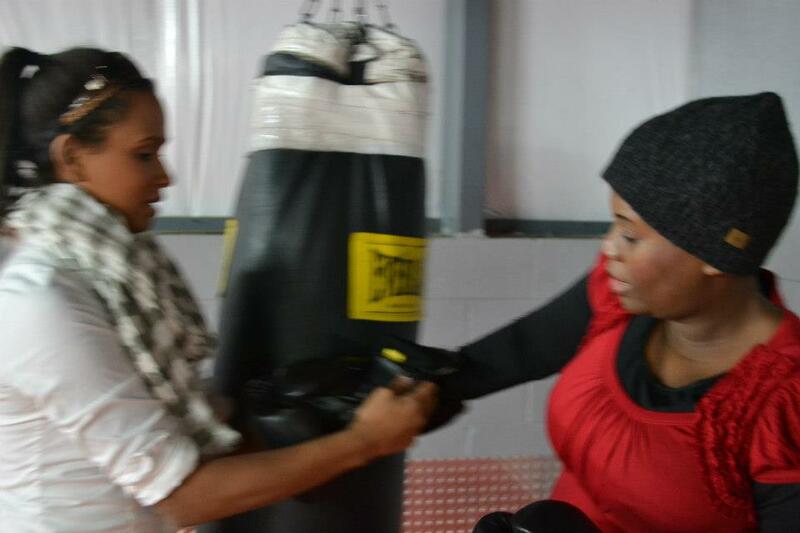 The initiative is conducted in partnership with the University of Tennessee’s Center for Sport, Peace, and Society.